Hello, hello my fabulous friends! How is your summer shaping up? Lauren here from thoughtful living & entertaining site and if you are anything like me, you are slightly panicking because where did June go? Fourth of July is right around the corner and it’s time to up our summer baking game! 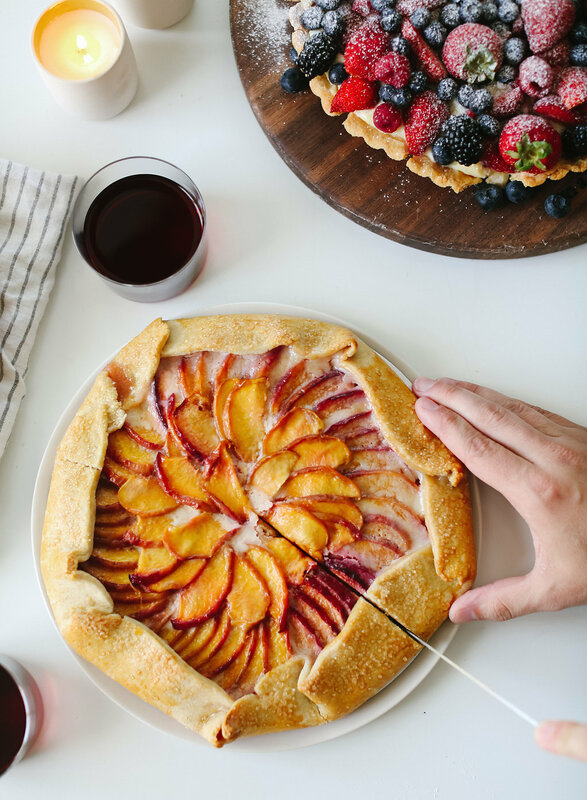 Today I am sharing one of my favorite summer treats – the summer fruit galette, the perfect wine pairing, and a fun summer party idea! 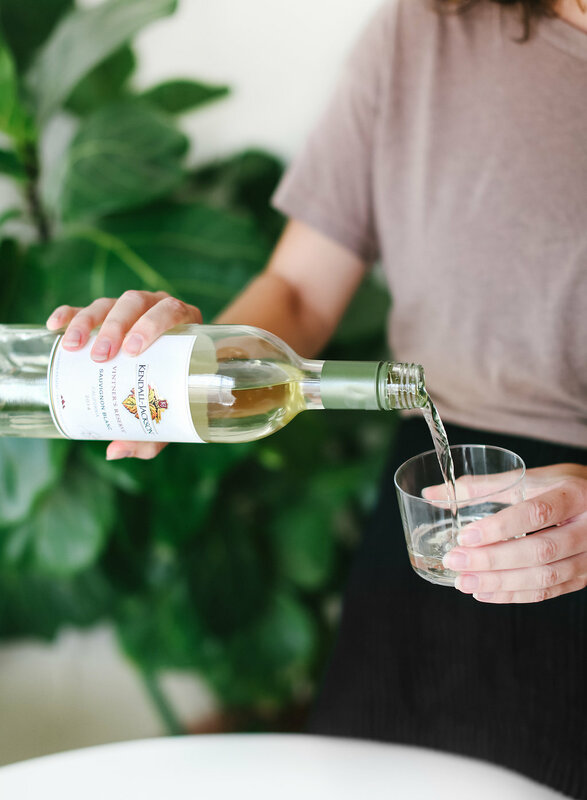 So bust open that bottle of Kendall-Jackson Vintner’s Reserve Sauvignon Blanc, pre-heat your oven, and let’s get started! You might have seen these funny looking half pies, half tart things floating around Instagram or maybe even in your local bakery & let me tell you, they are absolutely the perfect dessert for summer. 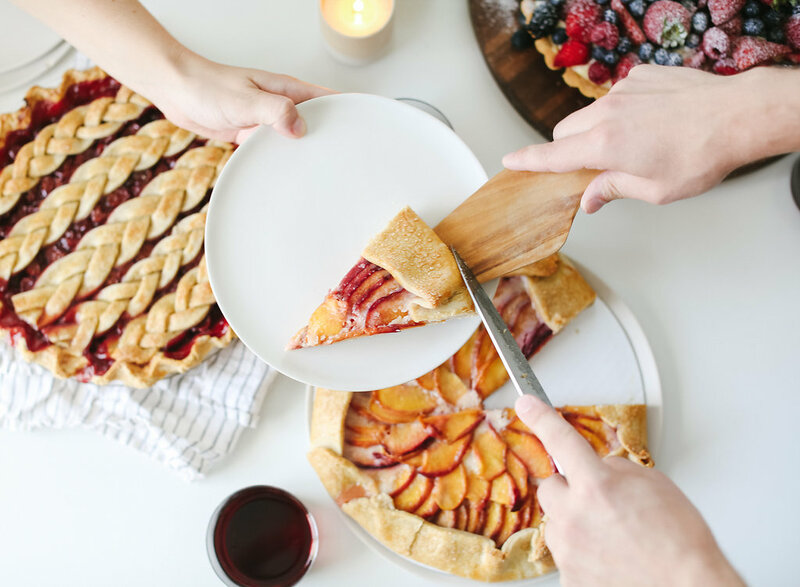 Lighter than most pies (thanks to a thinner crust), fun to make, and packed full of your favorite fruit — the galette has quickly won it’s way into our hearts, potlucks, and even an afternoon treat. Run by your local farmer’s market and pick up some fresh fruits (peaches, strawberries, and blueberries work really well!) and play around with the recipe a bit. Combine your favorite fruits, keep it simple and stick to one fruit – whatever works! Pair these puppies with a few bottles of chilled K-J Vintner’s Reserve Sauvignon Blanc & you’ve got yourself a party! Speaking of parties – have you ever thrown a pie party?! We did & it was maybe one of the most fun things we’ve done all summer. 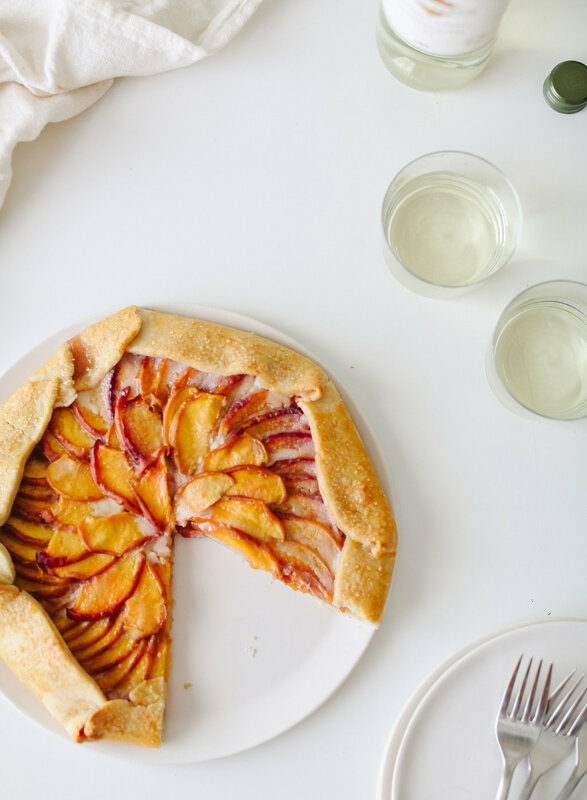 Everyone brings their favorite pie, you whip up a few of these delicious summer galettes, throw a few extra bottles of K-J Vintner’s Reserve Sauvignon Blanc in the fridge, and you’re half way there! Hop on over to LaurenKelp.com to see our pie party throwing tips & maybe you’ll just get inspired to host one! -In a large mixing bowl, combine flour, salt and sugar. Using two knives, cut cold butter into cube and combine with flour mixture. -Sprinkle ice cold water across the top of the dough and use hands to mix dough until uniform. -Divide dough in half, and roll each half into a small ball. Cover tightly in plastic wrap, and place dough in refrigerator for approximately 30 minutes. -While dough is chilling, prep fruit filling. For berries, toss them with a couple spoonfuls of sugar and a couple spoonfuls of flour to thicken mixture. For stone fruit, slice peaches, plums, and apricots into thin wedges, and toss with a couple spoonfuls of sugar and a few sprinkles of cinnamon and nutmeg. -Remove dough from fridge, and use a rolling pin to create two 6-inch circles. The don’t have to be exact–they should look a bit rustic. -Be careful not to over handle dough. -Arrange fruit filling starting in the center of the dough and moving outwards. Be sure to leave about 1-1½ inches around the edge clear. -Starting with the edge nearest to you, careful fold the edges inward while slowly rotating the galette. Be sure to avoid any cracks in the dough where juices may escape during baking. -Brush dough with a quick egg wash and sprinkle with granulated sugar. -Bake for approximately 30 minutes or until dough is a light golden brown. -Remove from oven, let cool slightly, and sprinkle with powdered sugar. For more food and wine pairing tips, visit the Entertaining section of our website.